Exclusively on TurboTax Premier 2019. Between now and April 15, 2019 you can buy any of the online versions of TurboTax and get up to an EXTRA $10 off the list price with the above instant coupon. For Premier, that drops the price to just $69.99. Unlike the traditional boxed versions, the online version is web-based which lets you work on your tax return from any internet connected PC or Mac. You can also download the free iPad or iPhone app and work from your tablet or phone. The program automatically saves your information every few minutes as you go so you easy start working from one computer and then continuing from another (helpful when you and your spouse jointly work on your tax returns together). Offer expires on April 15, 2019. All of the online versions of Turbotax, including the Premier version, are available to try out for free (the boxed versions do not have trial versions available, however they are all covered by a generous 60-day money-back guarantee). Unlike other software program that give you 15 to 30 days to try it of for free before locking the program, you can take as much time as you need to go through and complete you tax return. Then, once you reach the end and you refund or payment is calculated, TurboTax will require you to pay the State and Federal filing fee if you wish to sent it through them. 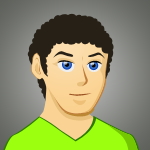 Get TurboTax part of QuickBooks. For all of your self-employed small business owners, your quarterly and end of year tax relief is here! Intuit has come out with a great bundle offer where you can use QuickBooks to do your finances and then file with TurboTax. Because both products are closely integrated, the software helps you find money-saving deductions for your business, helps do the math to help easily and quickly file your quarterly taxes, and then exports your Schedule C to TurboTax at the end of year so you can file your return. This service normally costs $17 per month, however they are having an introductory offer right now where you can get your first three months for just $12 per month. No longterm contacts with this plan so you can try it out and cancel at anytime down the road. We’ve put together more details about it which you can see here. This is an ongoing introductory offer from Intuit. If you were active in the U.S. military, army, navy, marine core, or coast guard at any point in 2018, then there is a special version of TurboTax available to you. The Freedom Edition lets E-1 through E-5 ranking officer’s to eFile their Federal and State tax for free. Certain income restrictions will apply to be able to qualify for this deal. If you are an E-6 to E-10 ranking officer then you can also use the Freedom edition at a discounted rate of $24.99 (which is still a pretty good deal at 75% off the full price of Premier edition). Available to qualifying active military personnel. Students can use TurboTax for free. Get a break on you tax software. Being a student brings some perks with it – One of those being the discounts offered by many different companies. Once again for 2019, TurboTax is offering their software for free for students with all the support you’ll ever need (like deductions for school supplies, textbooks and tuition). The only catch is that your return has to simple so if you’re already a part-time stock investor, have a side online business, or dabble in real-estate investing, then you’ll have to pay for your software like the rest of us. Available only to qualifying students. So how exactly does TurboTax apply the discount? Most stores use coupon codes to apply any available discounts to your order. That means you need to have one in-hand and physically enter it at checkout. Orders from the official TurboTax store at the intuit.com site is a bit different – That’s because they use different landing pages (i.e. URL’s) to apply different savings. So when you see one of the offers we have posted here on Software Voucher, just click on the link and you should be good to go. Just remember that once you’re on the TurboTax website, you’ll need to select the product that you wish to purchase and login to your account to get the discount reflected. See below for an example of how the savings are shown on intuit.com. If you’re your new to TurboTax or if your tax situation changed from last year, then you can just start with the “Federal Free” option and the software will recommend the upgrade if and when needed. If you’re already on the checkout page and you don’t see the savings applied your your Premier order there could be a few things going on. One of the errors may be that you followed the link but didn’t login to your TurboTax account (that’s one of the most common errors). If that’s the case, just try one of the deals up above again to and it should work. The second most common problem is that you followed the offer link a few days ago and in the meantime, when you were completing your online return, the offer expired. You’ll find that TurboTax has a few price increases throughout the tax season and certain promotions are subject to end before you end up paying for your purchase. That’s why we recommend not waiting up until the very last moment to file your tax return because it’s possible an offer will end. You will also notice that on the first page of the checkout process, about mid-way on the screen or so (that depends on the computer/table you’re using at the moment), that there is an area to enter something called a “service code”. TurboTax uses service codes to match your purchase with help pre-purchase help provided by one of their phone or chat customer representatives. You won’t need to enter anything here unless you have one of these codes already. In terms of other promotions, specifically TurboTax partner deals with financial institutions like Capital One, Bank of America, Citi, Visa, or Chase, or other membership organizations/credit unions like AAA, SunTrust, AARP, etc., there may be some available for you this year. However we don’t have the specific details or list for 2017 so just give your bank a call to see if there are any customer discounts available. We’ve just found in the past that many of the offers through these partnerships are nearly identical to the official discounts that we already have posted here on Software Voucher so it’s usually not worth the hassle finding them. Where did the TurboTax Refund Bonus Offer go? If you were looking forward to the Amazon-TurboTax Refund Bonus where, if you filed with Premier Desktop, you could get 10% extra cash added to the Federal refund that was coming your way if elected to put it on an Amazon gift card, then so were we. However to our surprise, the offer didn’t return for 2019 after a strong multi-year run. It’s really a shame because for many folks the amount they earned from the refund bonus deal was more than the cost of filing with TurboTax itself. But as bad as that news is for returning TurboTax customers, then good bit of news is that H&R Block took over the refund bonus offer. They have a nearly identical offer where you could choose to earn 5% to 10% extra on your Federal refund if you put the amount coming to you on an Amazon gift card. The only catch appears that you need to buy the software from Amazon directly as well (nothing is mentioned at hrblock.com about it). You just have to remember that if you owe extra taxes for the 2018 tax year, thus not receiving a Federal tax refund, then you won’t be able to participate in this promotion. Plus, there is a gift card cap so if you’re so lucky to be expecting such a large tax refund, then you won’t be able to elect more on your total amount designated for the gift card(s). If you’re interested in trying H&R Block’s at home tax software and taking advantage of their bonus refund deal, then be sure to see our complete list of deals available through April 14, 2019 on Basic, Deluxe, Premium, and Premium & Business versions to save up to 20% on the software itself. TurboTax is the #1 best selling brand of tax preparation software. A step up from the Deluxe version, Premier includes all of the features found in Deluxe plus extra guidance and support for those needing to account and deduct for investments or rental property. Keep in mind that if you are a part-time or full-time contractor or self-employed, then you may need to upgrade to Home & Business to be able to complete your return with TurboTax. 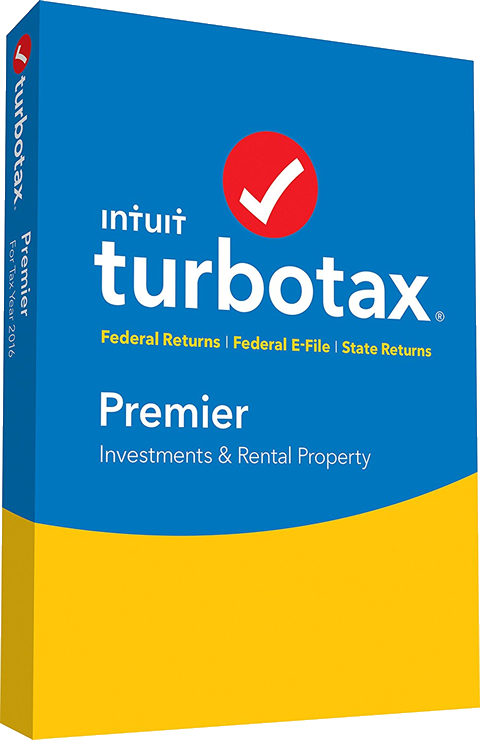 Are there any other comparable software programs to TurboTax Premier? When it comes to tax preparation software there are really only two larger players in the space in the U.S. – TurboTax and H&R Block. You may associate H&R Block with an in-house tax preparer but they have an entire line of tax software that is very similar to TurboTax. We encourage you to also take a look at H&R Block at Home Premium and take a look at the current offers available before buying TurboTax. On average, you’ll pay less and won’t really see any meaningful differences between the two programs. Both software programs will let you try it out for free before you buy and give you the same 100% accuracy and maximum refund guarantees. Of course the devil is in the details so be sure to read up on the full details before making your final decision. When can I expect next year’s TurboTax software to be released? As we've witnessed for the last ten years, you can expect to see TurboTax 2020 versions go on sale in late-November 2019 in the United States and in mid-January 2020 in Canada (including the French version in Quebec). Join the Party, TurboTax Style! If you like to have any excuse to party, then why not host a tax party? TurboTax is accepting applications for anyone interested in hosting one of their You Party’s where the’ll supply you with some party supplies, lanyards, poster, activity sheets, and best of all, 50% off discounts for your guests if they end up filing with TurboTax Online this year. In return, you’ll need to invite 10 friends and tell them a bit more about TurboTax. If you’re interested in learning more and learning about the qualifications, then we recommend you jump on it early in the tax season as the spots tend to fill up quickly. Did you happen to come across a promotion that is not working as advertised or has simply expired? Then please contact us with the details and we’ll investigate the issue. Even those these TurboTax Premier promotions are updated on a daily basis, it’s possible that a sale or code expired earlier than expected.